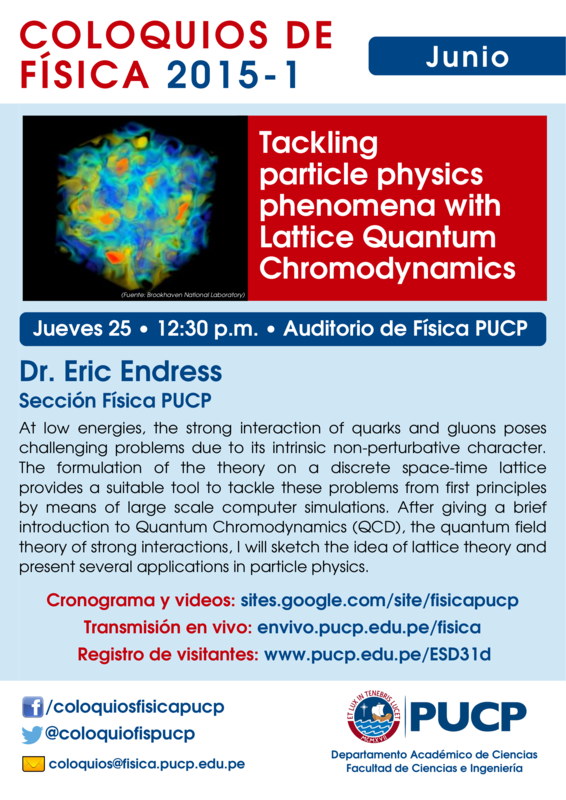 Ponente: Eric Endress (Sección Física PUCP) At low energies, the strong interaction of quarks and gluons poses challenging problems due to its intrinsic non-perturbative character. The formulation of the theory on a discrete space-time lattice provides a suitable tool to tackle these problems from first principles by means of large scale computer simulations. After giving a brief introduction to Quantum Chromodynamics (QCD), the quantum field theory of strong interactions, I will sketch the idea of lattice theory and present several applications in particle physics.